It’s official the Boy Band is Back! The Wanted, One Direction, JLS and others have opened the door for the return of the boy band and Big Time Rush is the latest boy band to walk on through. This band is a little different though – in a similar vein to Miley Cyrus & Selena Gomez, Big Time Rush got their start on Nickelodeon, in the musical comedy about 4 hockey players who form a boy band. Funnily enough the show is called Big Time Rush as well! Better With You is their new single and much like their The Wanted counterparts they have the looks and the pop formula down pat! 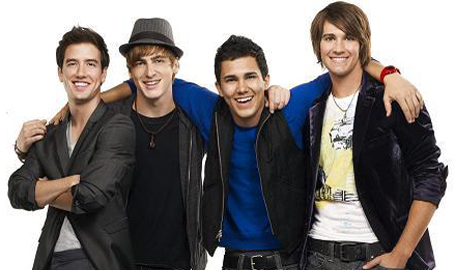 Led by lead singer Kendall Schmidt (the one with the hat) Big Time Rush is using a tried & true pop formula that will tick all the boxes – check out Better With You below!